It always amazes me to find that there are actually people, including film students, who don’t know who Preston Sturges was. His films were so modern and so far ahead of their time, not just for the fact that he was the first “writer/director” in Hollywood, but because, despite strict enforcement of the Production Code starting in 1934, Sturges took enormous chances and managed to pull the wool over so many collective eyes. This run of incredible fortune began with the screenplay for “The Great McGinty,” which Sturges sold to Paramount for one dollar on the condition that he’d be allowed to direct. By this time, he had already written a handful of very successful films in the 1930’s, but no writer had ever directed his own screenplay. Winning an Academy Award for Best Original Screenplay (the first year that award was given) was the icing on the cake and set the stage for a remarkable career. In French filmmaker Jean Renoir’s “The Rules of the Game,” the rich are mercilessly skewered amidst a setting of romantic intrigue. I’ve often wondered if Sturges was influenced by this 1939 film, being a frequent visitor to Europe. Although judging from some of the anecdotes recounted in his memoir, “Preston Sturges by Preston Sturges,” the events of his life did sometimes seem to be reflected in his films, albeit through a funhouse mirror. Sturges films also had a Dickensian quality, especially in his use of colorful names like Hackensacker or Kockenlocker (how he got away with that one in 1944 is still a mystery to me, as well as the fact that “The Miracle of Morgan’s Creek,” is about a young woman who goes to a USO dance, gets pregnant, and doesn’t remember the name of the soldier who knocked her up, except for something vague like “Ratzkiwatski.” In the end – spoiler alert! – she winds up with sextuplets). His female characters were often super-intelligent, witty, fast-talking, beautiful and funny – the kind of woman he adored. His male characters, particularly Henry Fonda’s in “The Lady Eve,” were often helpless and clumsy in comparison – and, if Sturges didn’t exactly share those physical handicaps in the presence of such irresistible charm, he clearly identified with those who did. It’s been reported that, for a time, he was head-over-heels in love with Barbara Stanwyck and, when she rejected his advances (failing the 2 minute test, as she put it, whereby a woman can tell within 2 minutes if a man is a worthy mate), he in turn wrote “The Lady Eve” for her, so that he could finally hear all the things he wished she’d said to him. In the studio system of 1940’s Hollywood, making films on such a personal level was simply unheard of. “Sullivan’s Travels,” a film that pre-dates Federico Fellini’s “8 1/2” and Woody Allen’s “Stardust Memories,” tells the story of a director who is grappling with the types of movies he makes. He specializes in comedies and musicals but wants to do something serious, something the common man can directly relate to. Finally, as Steve Martin so beautifully describes it in Lawrence Kasdan’s “Grand Canyon,” he realizes what he was put on this earth to do. Eventually, those four glorious years came to an end; Sturges acrimoniously left Paramount and entered into a short-lived producing partnership with Howard Hughes. 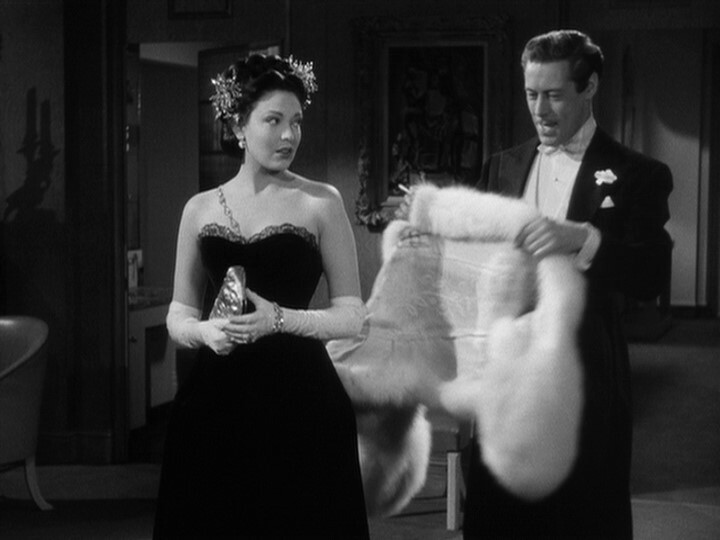 In 1948, he made what some consider one of his finest films (and one of my favorites), “Unfaithfully Yours.” It was a scathing black comedy about a famous composer (brilliantly played by Rex Harrison) who falls into a jealous rage when he suspects his young wife (the ravishing Linda Darnell) of having an affair with his assistant. He dreams up several ways to murder her and frame his assistant, but when he makes an actual attempt, he finds that reality is a lot more complicated, and messy, than the scenario he imagined. Some believe that Harrison’s and Darnell’s characters were stand-ins for Sturges and his young wife at the time, Louise Sargent Tevis. Yet another example of personal filmmaking, ahead of his time. Preston Sturges died in 1959 at the age of 60. His later work might not have lived up to those four glorious years of 1940 – 1944, but he never stopped trying. Up until the end of his life, he was always hopeful that he would come back. Maybe even in television. Anthony Marinelli is one of the founding members of post-production company TwoPoint0 (www.twopoint0.tv). the Cannes Film Festival and recently won Best Original Screenplay at the Richmond International Film Festival.